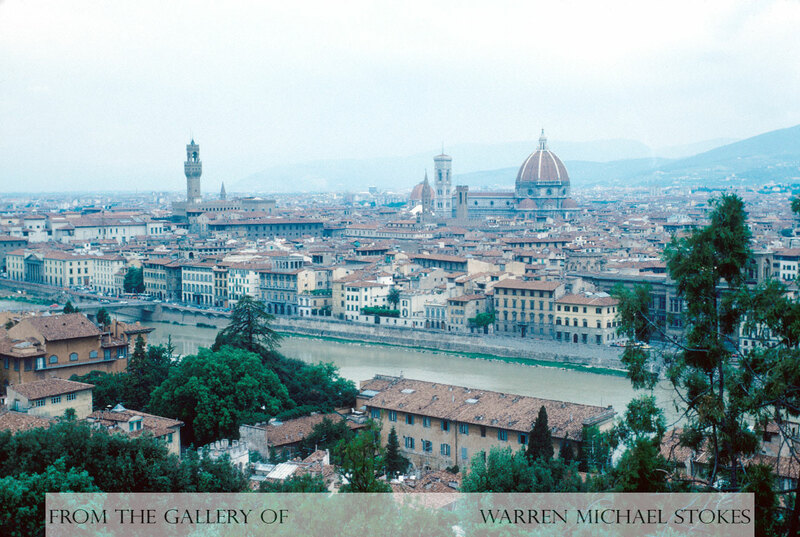 In the 15th century Florence was one of the largest and most prosperous cities in Europe. It was also the center of the Italian Renaissance. They population was very prosperous due to trade, commerce, and their close proximity to the Middle East. At the time, the Bubonic Plaque or Black Death had reduced the population of the city dramatically, however in 1400 it still had a population of between 70,000 and 100,000. The population of Milan and Paris was probably close to 200,000 residents. Florence's wealth largely came from textile manufacturing and banking. It is estimated that 1 in 3 Florentines were involved in the wool industry. This involvement included raising sheep, manufacturing cloth, as well as selling the cloth to the foreign buyers who frequented the city. At the top cities social scale were the bankers, traders, and merchants who were called the “popolo grosso.” Under the popolo grosso were the middle class citizens. They were known as the “popolo minuto,” and they were the small business owners, artists, and craftsmen. Directly below the popolo minuto on the social scale were the the “ciompi” who worked in the textile mills. The ciompi traditionally worked under horrible conditions for very little pay. Over the centuries the ciompi would revolt over and over against their dire living conditions. They were joined at the bottom of the social scale by the peasants who largely worked the fields. Both classes had very little power, and very little money. Florence's wealth had accumulated gradually over 2 centuries, and when the crown heads of Europe chose to wage war, they were forced to turn to the Florentine bankers for financing. Florence's coin was called the florin and it was the only international currency at this time. Also, due to Florence's economic power, their native language of Tuscan became the most commonly language spoken in Italy. In 1434, the wealthy Medici family came to power. The Medici family greatly influenced both the French and Italian Renaissance from the early 1400's until the 1700's. They controlled almost every aspect of Florence's daily life, including the economy, politics, as well as its incredible art movement. Historians tell us that the amount of money they spent on the arts and sciences during just one 50 year period, would be equal to hundreds of millions of dollars today. The most powerful member of the Medici was the banker Cosimo de Medici(1389-1454). He and his grandson “Lorenzo the Magnificent” constructed amazing palaces and public buildings. Cosimo, who assumed the title of duke, constructed the first of many palaces. His palace, which was called the Palazzo Medici would become the model for the numerous other palaces that soon would be constructed. Cosimo also ordered the construction of the first library in Europe since the collapse of the Roman Empire. The Medici's would spend enormous amounts of money procuring manuscripts for the library. Cosimo went as far as to send his agents East to purchase 200 rare and ancient Greek documents. Many of these documents were previously unknown. Probably, the most amazing of the Medici's endeavors was the sponsoring of artists, sculptors, and architects. These artists created some of the greatest masterpieces that the world has ever known. They include, Michelangelo, Leonardo Da Vinci, Donatello, Verrocchio, and Filippino Lippi. At the same time, they employed craftsmen who also produced amazing furniture and beautiful ceramic pottery.